NASA/JPL-CaltechAn illustration of NASA’s Cassini probe as it plunges into the clouds of Saturn. NASA has sent its $US3.26-billion Cassini Saturn mission into a death spiral. Called the “Grand Finale,” the months-manoeuvre is meant to protect possible alien life on Saturn’s ocean-hiding moons. Cassini will be destroyed in Saturn’s clouds around 8:32pm AEST on Friday. NASA is destroying the nuclear-powered robot early Friday morning because it has run very low on propellant. 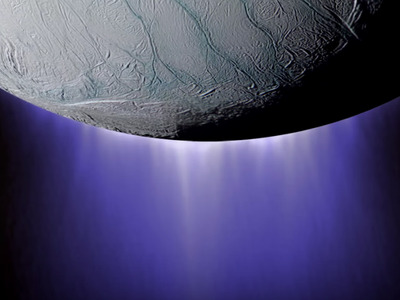 Burning that fuel has led to countless discoveries, including a giant hexagon on Saturn’s north pole and a vast ocean of liquid water — and possibly alien life — below the icy crust of the moon Enceladus. But it’s also created a problem, since the spacecraft is dusted with earthly microbes. YouTube/NASAAn image of Saturn’s moon Enceladus spewing jets of saltwater from its hidden ocean. Instead of chucking Cassini into the void of space, mission managers in 2010 decided to squeeze every last ounce of the probe’s fuel tanks at Saturn. With one last big burn in April 2017, the probe began a spectacular death spiral called the “Grand Finale.” This manoeuvre slipped Cassini through a veritable cosmic keyhole: a small gap between Saturn and its rings. “Cassini has got to be put safely away,” Maize previously said. The decision was made at the recommendation of NASA’s planetary protection office. With just days left in the mission, here’s what to expect and when, according to NASA JPL. Note: Since beams of light (and data transmissions) take more than an hour to reach Earth from Saturn, all times are from Cassini’s vantage unless otherwise noted. 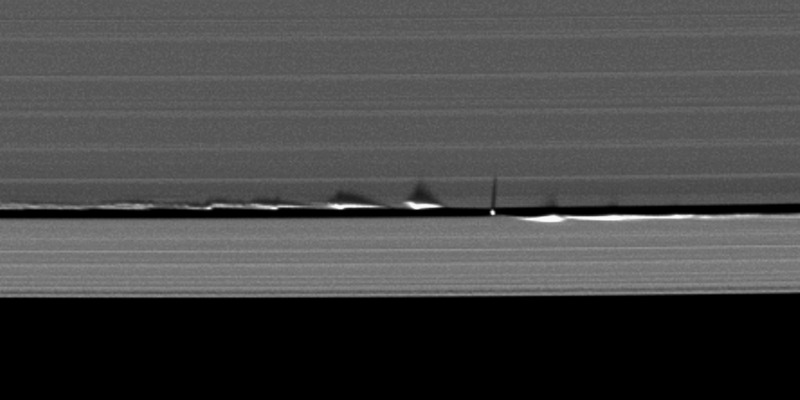 What: Cassini beamed back images and other data from the probe’s final crossing between Saturn and its rings. 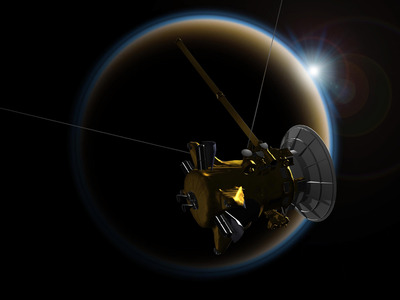 NASA/JPL-CaltechAn artist rendering of NASA’s Cassini spacecraft observing a sunset through the hazy atmosphere of Titan, Saturn’s largest moon. What: All of the images Cassini took of Saturn’s moon Titan during its “goodbye kiss” were sent home. What: Cassini will gradually accelerate as Saturn — a planet 95 times the mass of Earth — drags the probe toward its destruction. The robot will reach a speed of about 78,000 mph before splintering into glowing, meteoric pieces. 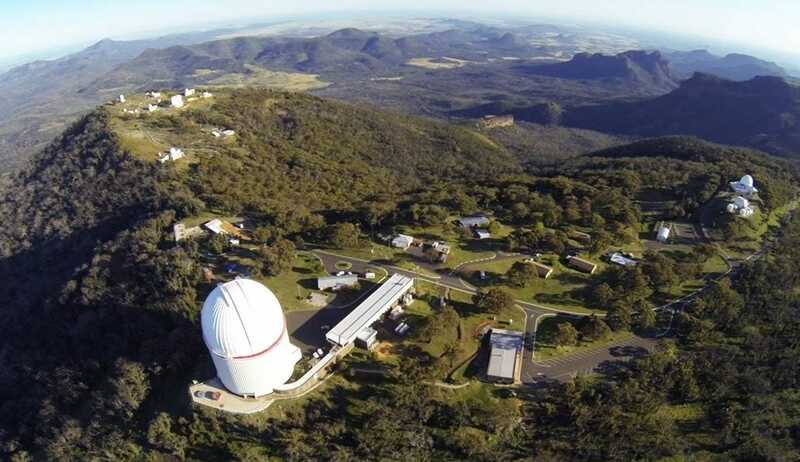 What: The probe will take one final image before shutting down its camera system. 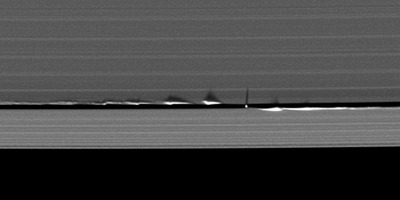 That picture will be of Saturn “looking toward the dark side of the planet at the impact location” in infrared light, plus — in visible light — “a fairly dark observation showing in the area lit by reflected light from the rings,” Preston Dyches, a spokesperson for NASA JPL, told Business Insider in an email. What: Cassini reorients itself so that its big, non-moving antenna dish is pointed toward Earth, allowing NASA to download all data it’s recorded (included the final photos). The spacecraft will fight to maintain this position for the next 14 hours and 30 minutes — right until the moment it burns up — so that it can transmit atmospheric and other data in real-time. What: A few hours before burning up, and while keeping its antenna pointed at Earth, Cassini will take five minutes to roll itself into a new position. This will point an instrument called the ion and neutral mass spectrometer, or INMS, toward Saturn — allowing NASA to “sniff” the planet’s atmospheric gases. As Cassini rolls, its computer will reconfigure for live transmission of atmospheric data. The bandwidth will be just 3.4 kilobytes per second — about 830 times slower than the average download speed of a US mobile phone — but it will be enough to get crucial data about the composition of Saturn’s gases home to Earth. What: Cassini starts to plunge into the outer fringes of Saturn’s thick atmosphere — something the probe was never designed to do. It won’t go silently to its death, though: Cassini will start firing its position-changing thrusters at 10% of “open throttle” to keep its antenna dish pointed at Earth as gases buffet the spacecraft. What: About a minute after ramming into Saturn’s atmosphere at up to 78,000 mph, Cassini’s computer will boost the thrusters to 100% to keep the live transmission going. However, the robot won’t win this battle. Maize and Julie Webster, an aerospace engineer and manager of the Cassini spacecraft, told reporters during an August 29 teleconference that the probe has about 60 lbs of propellant out of the 6,900 lbs it started with to use — not enough to right the antenna during the entire descent. At some point Cassini will begin to tumble toward its doom. What: Cassini will heat up more rapidly the deeper and faster it dives. In fact, “temperatures around the spacecraft will increase by 30-to-100 times per minute” as it descends, NASA said. 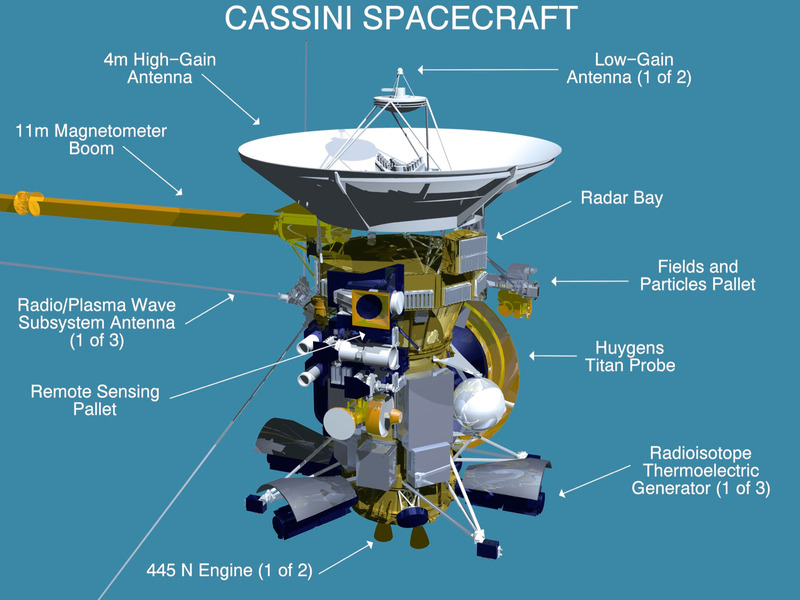 NASA/JPL-CaltechA diagram of the Cassini spacecraft and its main instruments. 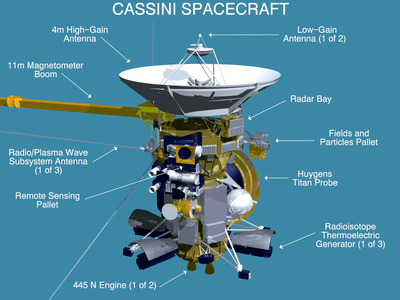 Insulating gold-coloured blankets will char and break off first, followed by Cassini’s antenna, 30-foot-long magnetometer boom, and other loose or fragile parts. Carbon blocks full of plutonium-238 fuel will last the longest. “The deepest it could possibly go in the atmosphere is about 200 kilometers, or 120 miles,” Eric Strum, a Cassini mission planner, said on the call. He added that Cassini will disintegrate “thousands of kilometers” above what scientists consider the “surface” of Saturn — where air pressure is the same as on Earth’s surface. Wikipedia/Ssopete (CC BY-SA 4.0)The Siding Spring Observatory in Australia. The Hubble space telescope might have recorded Cassini’s death in ultraviolet light — the strongest signal the probe will emit as it burns up. But Linda Spilker, a Cassini project scientist and a planetary scientist at NASA JPL, told Business Insider that Hubble won’t be in a position to see Cassini die. 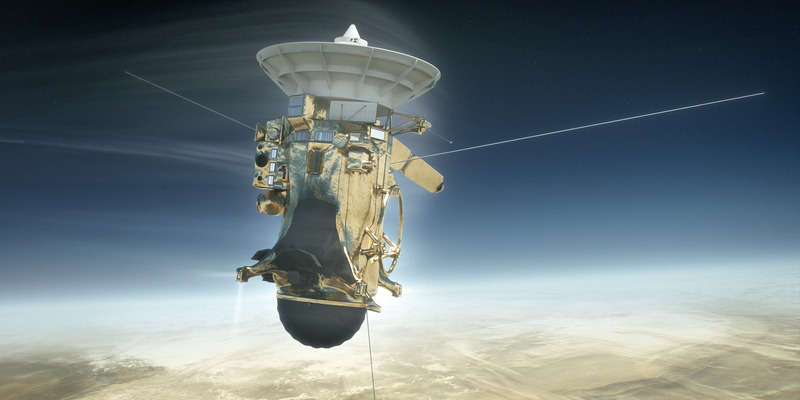 Spilker is hopeful that professional observatories and hobbyist astronomers in the southern hemisphere catch a glimpse, especially if several kilograms of Cassini’s hydrazine fuel explodes brightly in the final moments.